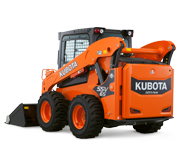 Kubota offer four Closed Cab models in total. 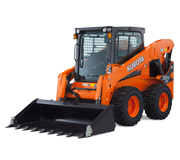 Two SSV65 one Standard hydraulic flow and one with Hi Flow hydraulics as well as two SSV75 one Standard hydraulic flow and one with Hi Flow hydraulics. 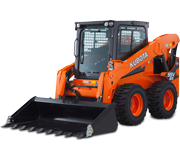 All machines come standard with hydraulic quick coupler, self levelling and KSR – Kubota Shockless Ride which cushions bounce on the loader arm. 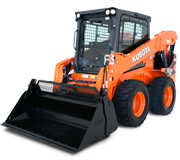 Both Hi Flow machines come standard with 14 pin coupler and multi-function lever.